Today is week #52 of the While I'm Waiting link-up! Can you believe this little link-up has been around for a whole year?! Craziness! Thank you, thank you, thank you for coming back week after week and for helping it grow! What am I waiting on? Easter! Each and every one of us has a Savior that DIED for them! Why? Because He loves us that much! Sometimes that thought seems overwhelming and there are other times when we feel our sins are just too big to forgive. Thankfully, that's just not the way it is. Jesus paid the ultimate price for ALL of our sins so that we can spend eternity with Him. Now, that's something worth waiting on! Thank you, Jessica! I hope your family has a blessed Easter too! Thanks for linking up! Hi, Shannon!!! Welcome! I'm so glad you found me! Thanks so much for linking up and looking forward to connecting! Thanks for linking up, Keri! Hope you have a super day! I've been doing a daily Easter story with eggs and a short Bible study with my son and while it's been so exciting for him, I'm a bit uncertain of how he is going to take Jesus dying. He is only 3 so I'm unsure of how he is going to react to the outcome but I love sharing the Resurrection story with me. That is so sweet, Stephanie! I love it! It's definitely a story that is so very hard to explain to littles - so thankful it has a happy ending! Hope you guys have a great Easter. Thanks for stopping by and for linking up! You are very welcome, Debbie! Thanks for linking up and Happy Easter! I'm always glad when I have the chance to stop by. Hi, Melanie! I'm so glad you stopped by! It's always great "seeing" you here! 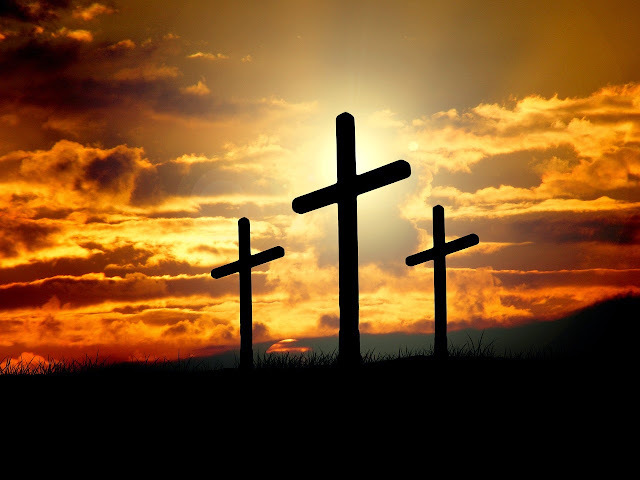 Hope you and your family have a blessed Easter weekend too! Happy link-aversary! So proud of you and love this space you create for us. Welcoming, accepting, encouraging and full of inspiration! Love you friend! Thank you for the absolute sweetest comment! Completely made my day! Love you too! Happy Easter to you and your family Holly!! And it is so cool that the link up is having an anniversary. It is so good to have a place to come to share positive energy!! Thank you so much, Julie! That's exactly why I started this link-up! A place to inspire and be inspired! So happy that you stopped by! Hope you have a blessed Easter! Happy Easter and Blessings. Thanks for hosting and have a great week. I start Spring Break next week. Thanks for stopping by, Patrick! Enjoy Easter AND have a fabulous Spring Break!